November 22 2017: A thanksgiving vegan cheese board spread. 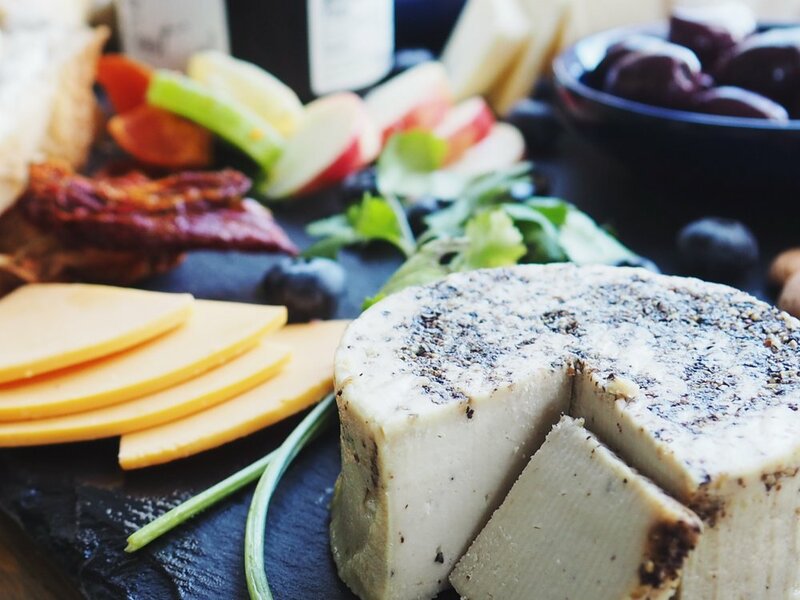 The vegan cheezes included on spread are, Daiya cheese, Cracked Pepper Aged cheese from Treeline, and Kite Hill's Ricotta spread. An espresso shot and a Saratoga spring water at the Ludlow Coffee Supply.